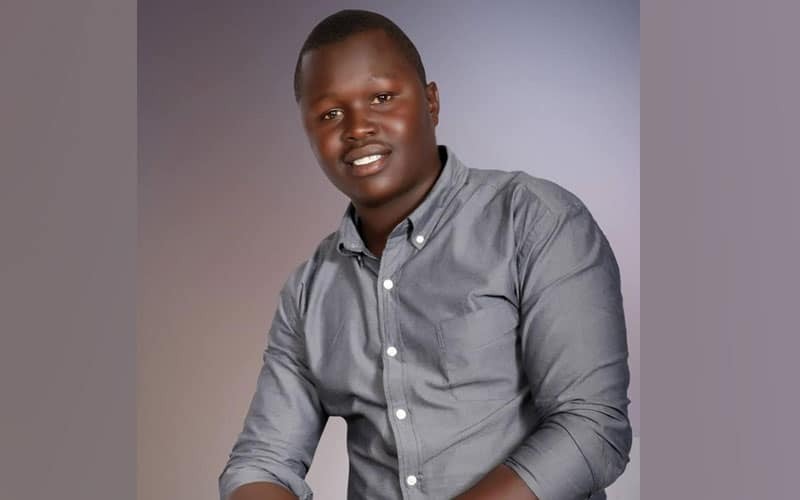 A former Member of County Assembly aspirant in Migori County has put his testicle up for sale at a cost of Ksh500,000 each. The man the Nairobian has identified as Ian-Harriel Kowiti, a resident of Uriri Constituency claims poverty has forced him to take chances with what is rightfully his. Despite vying for the 2017 General Elections as an independent candidate, Kowiti confirms the assertion of associating politicians with wealth as a fallacy. According to the 27-year-old, he doesn’t need two testicles, adding that one is just enough. “What is the need of having two of them (testicles) dangling between my legs if I can still do the job perfectly with just one?” Kowiti asked in an interview. Kowiti also revealed that his intention is to help those who can’t sire children. Like many other people who have come out to trade their organs, Kowiti also said he’s willing to part with one of his kidneys at a cost of Ksh1.5 million for interested local clients and three times the price for ‘international’ clients. Kowiti also noted that his decision was motivated by a local doctor who recently disclosed [to him] that he doesn’t need two kidneys for him to lead a healthy life. He reiterated that his intention was to help other people who are suffering in hospitals as well as put food on the table through his goodwill. “A doctor friend confirmed to me that you can lead a healthy and fulfilling life with just one kidney. It pains me that there is someone out there who is suffering because of kidney failure and has to spend so much money on dialysis. I have two functioning kidneys, and I consider it the right thing to do to give out one,” he said. While kidney transfer sentiments can be verified, medics who spoke to the weekly paper dismissed the idea of testicle transplant. Dr David Kimani, a urologist, said it is not possible to transplant testicles. “It is impossible. I am only aware of penile transplant, but I have never heard of a procedure to transplant testicles,” he said. On the other hand, Dr Huldah Adhanja appreciated the fact that some people can be born with one testicle but that does not mean that those who have two can sell one and survive with the remaining one.